The San Antonio Silver Stars started off the game on the right foot, and were making all of the right plays. The Indiana Fever looked like they were just going through the motions and the Silver Stars were making them pay for it. It looked like the Silver Stars were having complete control of the game but then Indiana came storming back and won the game in a convincing matter. The Silver Stars just didn`t have enough weapons to take away from Indiana as both Tamika Catchings and Katie Douglas looked strong in their first game of the season. 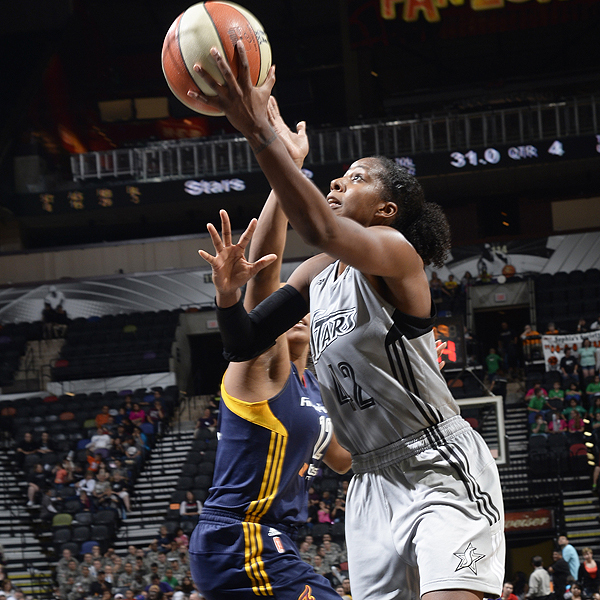 – Davellyn White, the rookie shot the ball a bit too much, but still showed some skills in her first pro game. As did Kayla Alexander. – This is the first game of the season. The Stars will play again in a week against LA.